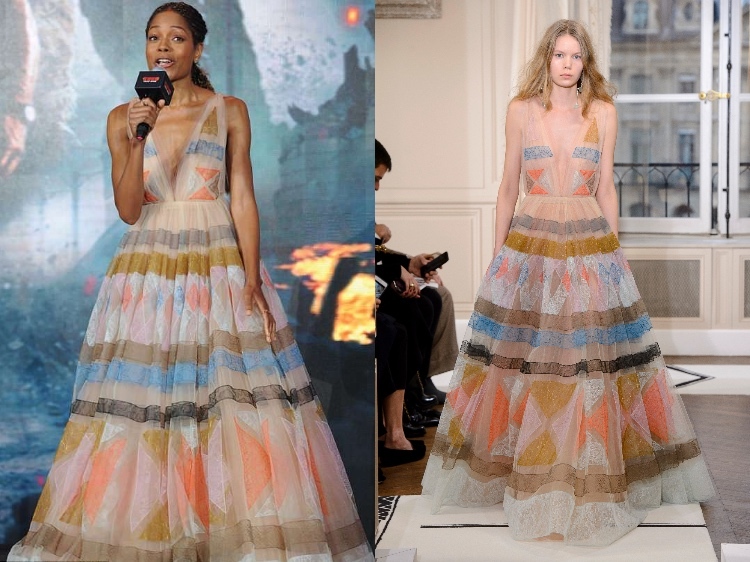 Naomie Harris attends the Shanghai premiere of Rampage in Schiaparelli Spring 2018 Couture. 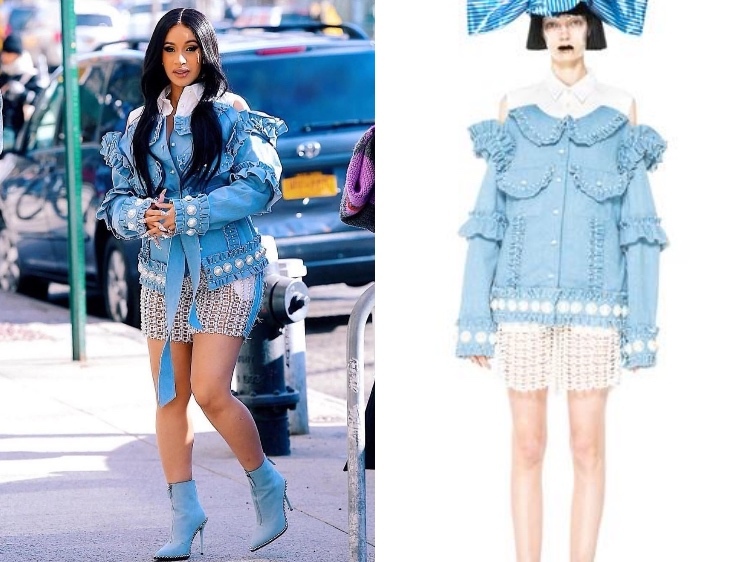 Cardi B was spotted in New York wearing Laurence & Chico Spring 2018. 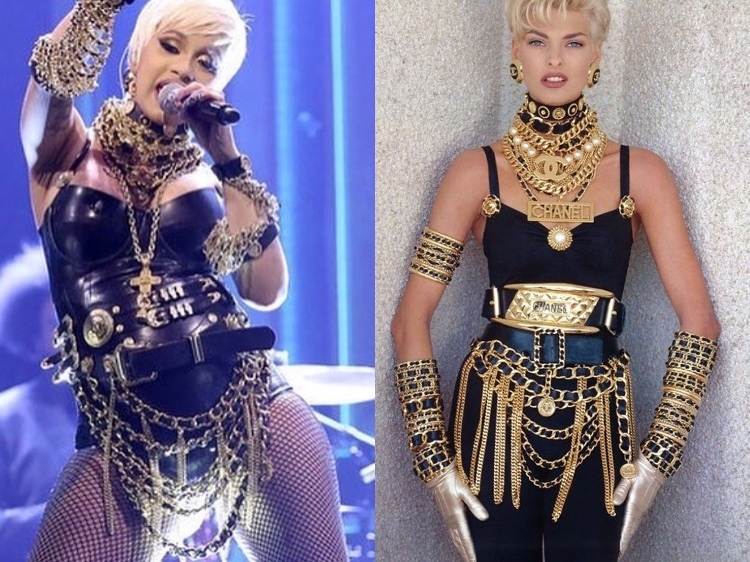 Cardi B performs on “The Tonight Show Starring Jimmy Fallon” wearing a Chanel-inspired custom look by Laurel DeWitt. 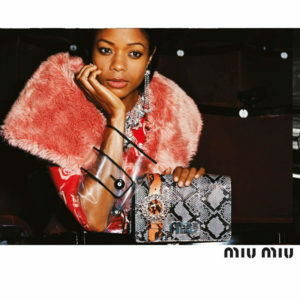 Get it her look HERE. 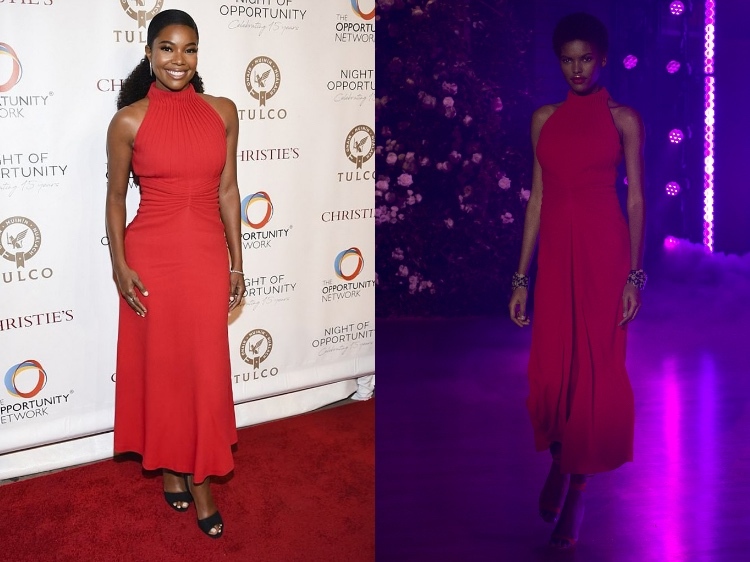 Gabrielle Union attends the Chopard “Night of Opportunity” Gala in Brandon Maxwell Fall 2018. 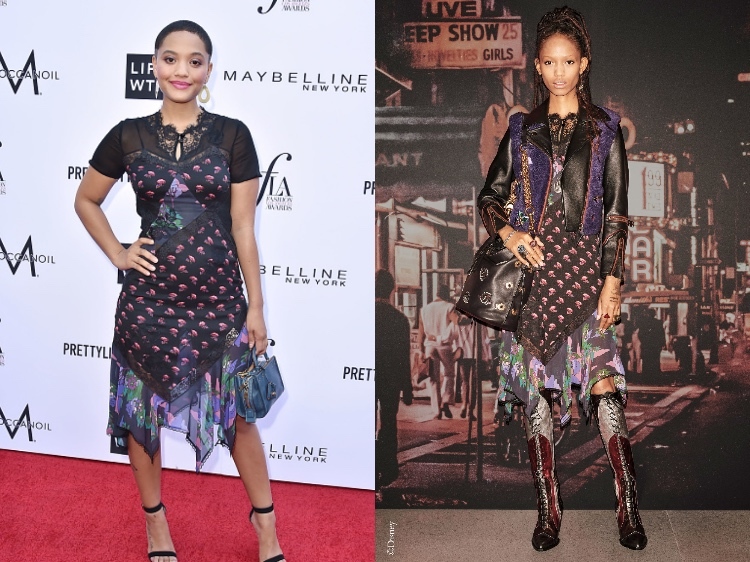 Kiersey Clemons attends the Daily Front Row Fashion Awards in Coach 1941 Pre-Fall 2018. Kiersey Clemons attends the GLAAD Media Awards in Louis Vuitton Fall 2018. Halle Berry attends the GLAAD Media Awards in Adeam Fall 2017. 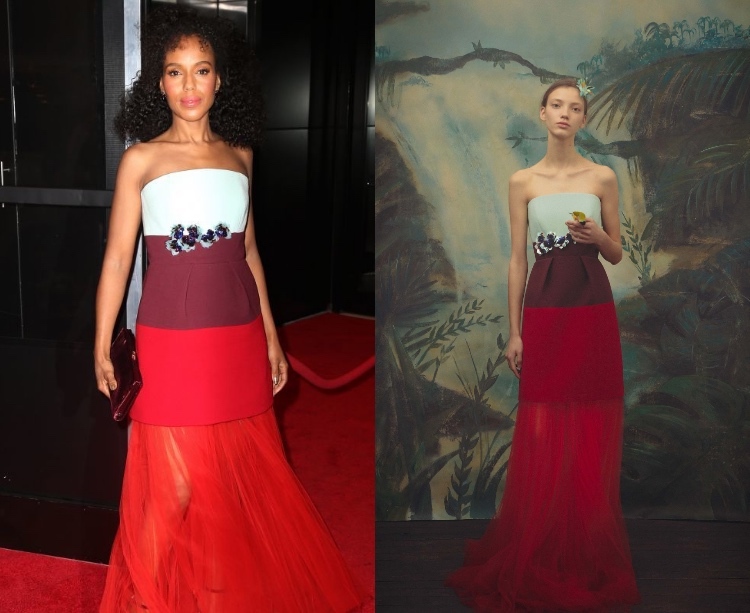 Kerry Washington attends the Lehman College 50th Anniversary Celebration & Leadership Awards Dinner in Delpozo Pre-Fall 2018. 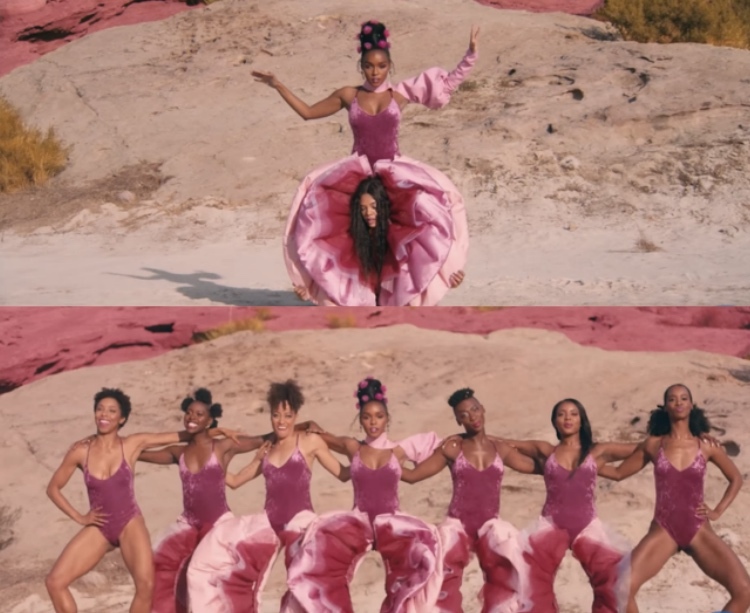 Janelle Monaé wears custom pants by Duran Lantink for her “PYNK” music video. 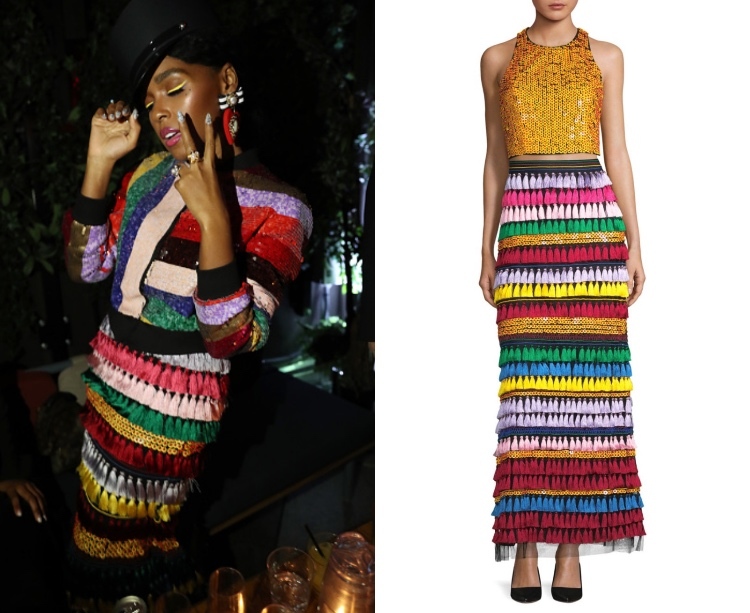 Janelle Monaé attends Cardi B’s ‘Gold Album’ release party in an embellished maxi skirt by Alice + Olivia. Rihanna attends Coachella 2018 in a custom Chrome Hearts look. 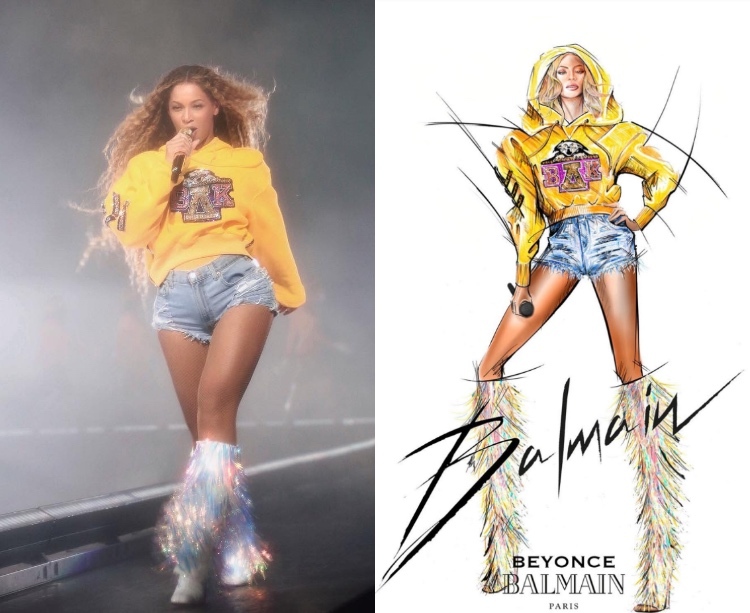 Rihanna attends Coachella 2018 in Y/PROJECT Fall 2018. 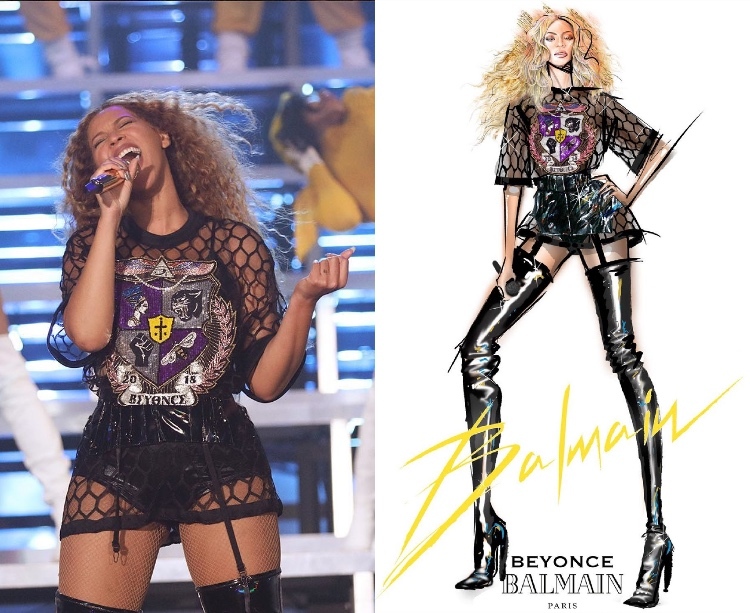 Beyoncé performs at Coachella in custom Balmain. 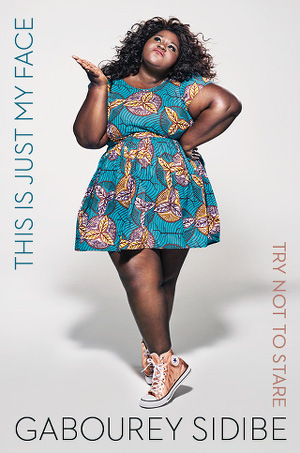 Fashion Post. 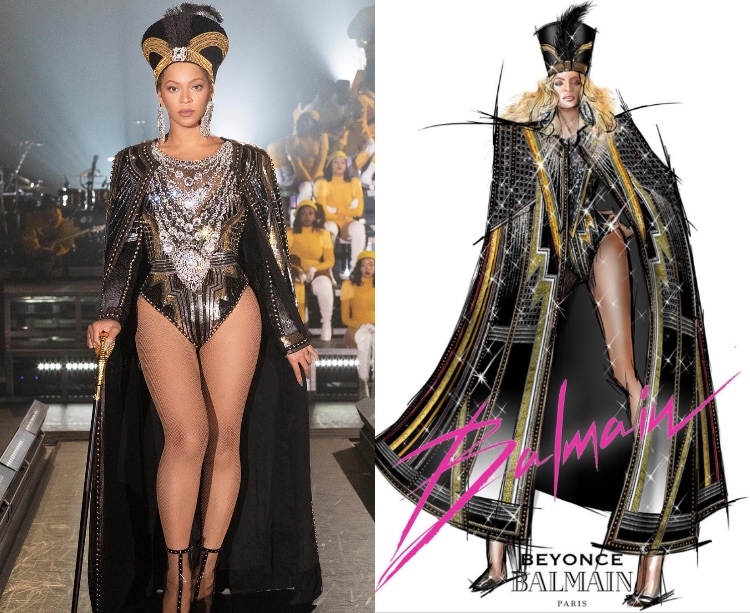 The Looks at the 2014 British Fashion Awards. 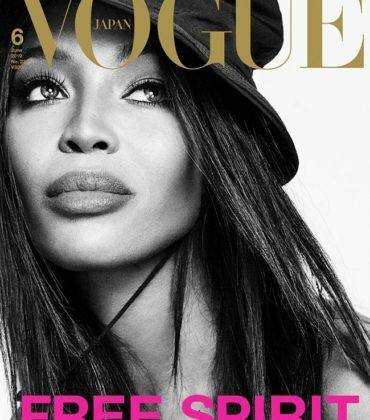 The Splurge. 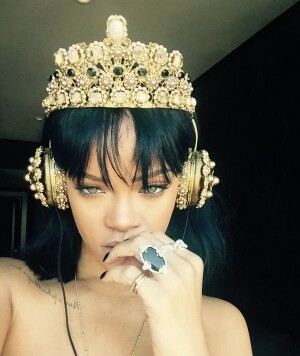 Rihanna Listens to ‘ANTI’ in $8,895 Dolce & Gabbana Crown Headphones.